This Valentine's Day I will be out of town. I'm taking the chance to spend a long weekend with some girlfriends and leaving the family behind. Every Momma needs a break, right? Anyway, since I am going to be out of town, I am surprising the Littles in my life with a Valentine's Day basket! A big portion of this basket will be a coupon booklet from Datevitation! I am in love with this service! Datevitation is a fun site that you can build a coupon book for anyone in your life. Pick activities you'd like to do or see done and get them bound in a little book for a little fun! Isn't this the cutest cover for our book? Happy Valentine's Day! I know Ally will love it for sure. With me being gone, I want to make this holiday a happy one, so I chose an extra sweet cover! I was sure to put both children on the coupon book so Ally knows she has to share with her little brother! I think this is a perfect addition to this little book! Just to show a little example of the type of coupons I chose to put in the book, I am offering a one-time only coupon for help with cleaning of their bedrooms! I know for sure Allyson will jump right on this. She isn't a fan of cleaning her room unless I'm in there organizing things. Then of course she puts her toys where she wants, which usually ends up being right in the middle of the room! Check it out!! ===> Books normally start at just $25 so it makes for a thoughtful yet economical gift. But as a special treat for my followers, you can use the code ‘SWEETCHEEKS’ for $10 off your purchase plus free shipping (total value of $13.50) That means you can get your loved one a one-of-a-kind gift for Valentines Day starting at just $15! While I chose to do a book geared toward my children, you can make one for your Spouse, Mother and even a friendly neighbor! Check out Datevitation's options and of course look them up on social media! Before you run away, check out the cutest video and use for Datevitation! How to Enter: Please use the Rafflecopter below! Dates: Starts February 9, 2015 12pm EST. Winner will be chosen February 13. 2015 11:59 pm EST. My husband and I go out on date nights every week, but we are always looking for fun ideas, so this might be fun for us. This is a fun idea and service! We're trying to do more date nights - whether out of the house or at home after the boy's bedtime. Would love to try this out! This is a cute idea! I love the idea of making one for the kids for Valentine's Day. What a great idea. This would be so much fun to give - and get! Oh this sounds great! I will have to check it out. Would love to make one for my hubby. Our wedding anniversary is this Sunday and I haven't a clue what to do or get for him yet! This is such a fun little coupon book! My daughter would love one. I am sure she'd cash in that room cleaning coupon first lol. This is such a cute idea. My husband and I always do something for each other. He'll clean for me and I usually cook his favorite meal. This could be fun though. 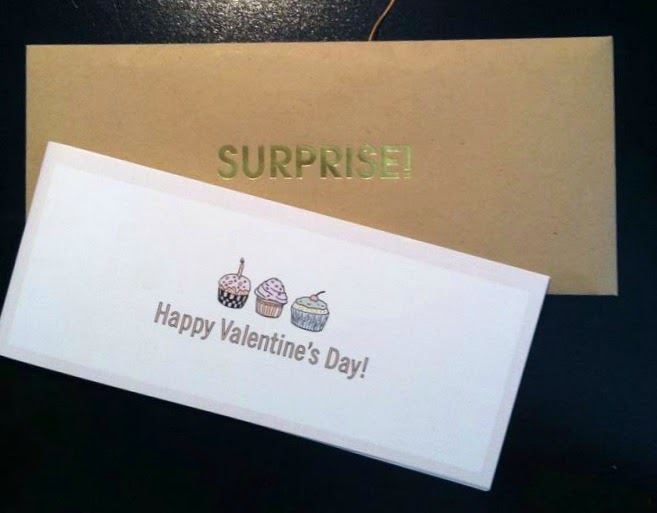 This is such a cute idea, going out on a date is the perfect Valentine's Day gift! This is really something different and clever. I could see having a great deal of fun with this gift. Both giving and receiving it. I like these alot. They take the commercialism out of valentine's day. These are super cute! My kids would like that. I made up some printable gift certificates for kids to use this month but they aren't this elaborate. The thing is it gets people helping and it is an economical gift. I like that. I gotta say, this is the best printable like this that I have seen. I like how fancy it is instead of so cutesy. It's sweet! I like that you included a help option on there too. Very nice! This is such a neat idea, and a great way to give a very personalized gift. Love that it's a gift that will last long after Valentine's Day. This is such a cute idea. Not only is it unique but it's also very romantic. Such a great idea. It is always great fun when you give & get back. Since we got together, me & my husband has always helped each other do something to each other to express the love we have. The coupon book is just awesome, as a personalized gift has more value! Love the gourmet coffee and romantic dinner illustration but all are awesome, thanks! The no complaining illustration is cute.